What’s Up with the Mississippi RiverWatchers? 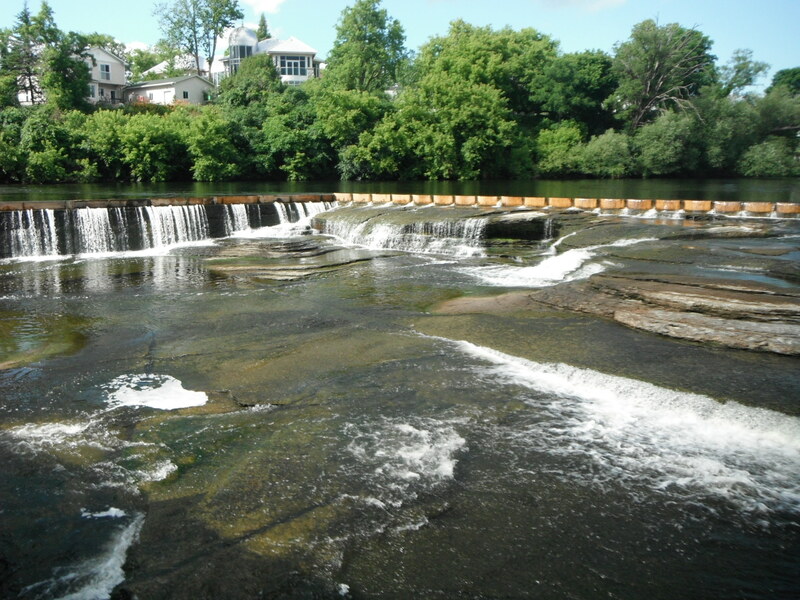 Enerdu Power Systems is proposing an expansion and redevelopment of its existing hydro electric facility located in the old Flour Mill in the Town of Mississippi Mills, formerly Town of Almonte. The property subject to the application is located at 11 Main Street, along the north shore of the Mississippi River in the north-eastern part of the Mississippi River. The Wylie Flour Mill was built in 1842 and the basement of the building was subsequently developed into a power generation plant. The timing of the conversion has not been confirmed, but historical records discuss an operational power plant in 1905. Recently, the flour mill portion of the building (above the working power plant) was converted into upscale condominiums. The Environmental Assessment has identified the existing generating station as a “run-of-river” facility, which consists of a powerhouse and an overflow weir. The Environmental Assessment (EA) for the proposed project has been completed to assess the potential impact of the development on the natural and physical environment and to provide information to the applicant regarding development planning of the site, assess potential impacts and propose mitigation measures. It is ORA’s position that referring to this proposal as a “run-of-river” operation throughout the entire Environmental Report (ER), and not revealing or addressing the fact that this facility is actually a peaking operation that holds water back to produce power during peak demand hours, is a fatal flaw that places the integrity of the entire ER in question. We must then ask, what other important details have been left out. After having carefully reviewed the ER and the Response from Enerdu, and for all the reasons set out in this letter, ORA is making a formal request to the Minister of the Environment to elevate this proposal to an Individual Environmental Assessment. Failing the implementation of Recommendation 1, ORA requests that the Minister reject Enerdu’s ER, and the proponent be ordered to provide an ER that addresses all the recommendations and concerns set out in this letter. The categorization of “Existing Infrastructure” does not define or differentiate the rigor or level of the environmental evaluation required, and therefore the full impacts of the existing and planned operations must all be fully considered and assessed – both upstream and downstream.